Welcome to Advanced Chiropractic, your natural healing resource in Klamath Falls, OR! If you've been looking for safe, effective ways to help your entire family enjoy a higher standard of health and wellness, you've come to right place. From our experienced, caring chiropractor to the variety of all-natural holistic treatments we offer, you'll come to rely on us as your trusted primary care advisors for preventative wellness, injury rehabilitation, chronic pain management and more. Allow us to introduce you to our distinguished Klamath Falls chiropractor. Dr. James Yewchuk helps patients of all ages by considering their holistic or "whole body" health, not just the symptoms they happen to be displaying. 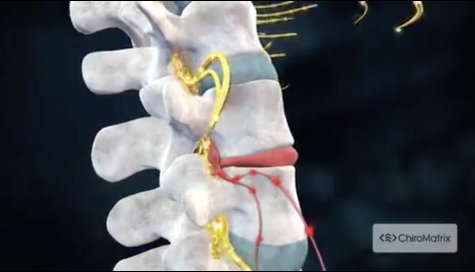 This approach enables him to diagnose and treat the root causes of those symptoms, as well as their effects on various physical components, from vertebral or extremity joints to nerves, muscles, and connective tissues. Dr. Yewchuk's methods can boost every aspect of your health by helping your body perform its countless everyday functions more efficiently. You'll feel the difference -- and so will your loved ones. We're always happy to chat with you about the many ways Advanced Chiropractic can enhance your family's life and health. Are you interested in learning more about our chiropractic center its services -- including reviews and testimonials from our community of patients? Call us at 541-273-5433 to learn more about us today.